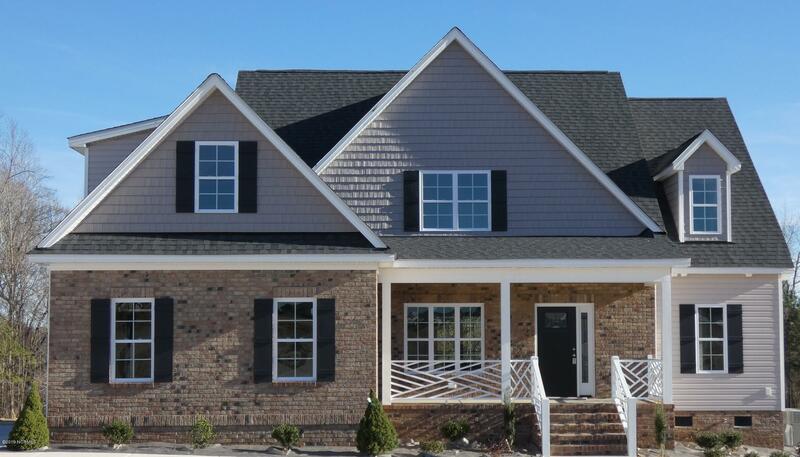 Brand new home with open floor plan in the county! Hardwood floors in primary living areas. Kitchen with granite counters, pantry, stainless steal appliances, lots of cabinet space, & large island. Great room with gas fireplace & bookcases. Laundry room, half bath and 2 story foyer. Open dining room and breakfast area. 2 bedrooms, full bath and walk-in floored attic up. Duke Energy HERO home incl energy efficient features such as upgraded insulation, low windows, thermal doors, hybrid hot water heater, radiant barrier sheathing, majority of lighting is LED, but not 100%, etc. No city taxes, security system w/ 1st yr basic monitoring incl, 1 yr limited builders warranty. Located in a quiet neighborhood this home is perfectly situated on a cul-de-sac lot. This is the Aycock Floor Plan.